Is this the craziest chart of 2017? Is this the craziest chart you saw in 2017? 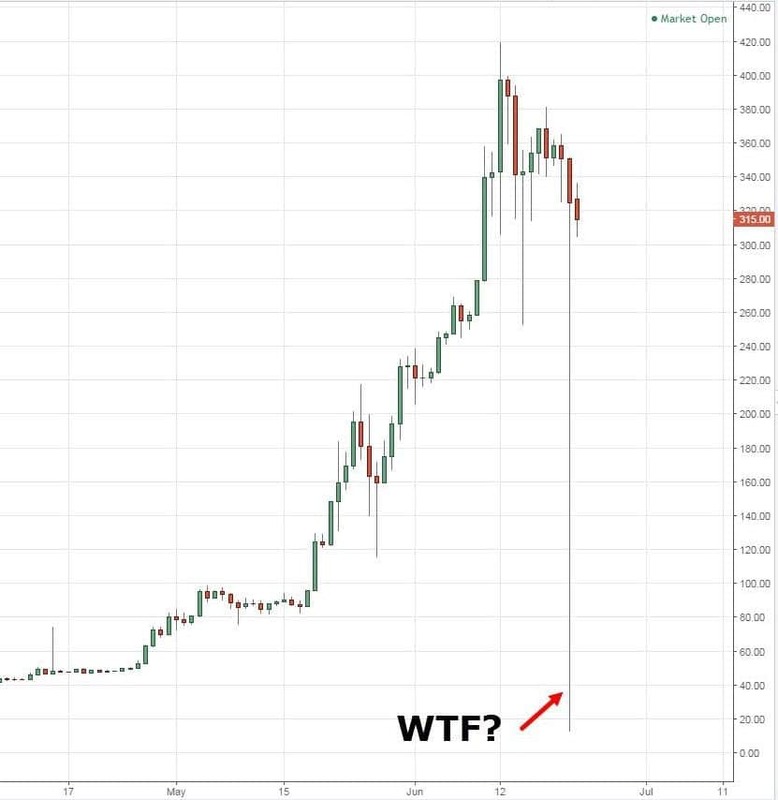 It’s a cryptocurrency called Ethereum and it had a flash crash of more than $300 within a day. And according to media, some trader supposedly had a buy limit order at 10 cents and made over a million dollars on the trade. Crazy stuff. But before you go gaga over it, you must know there are many traders who lost their account while trading this market — and I don’t want this to happen to you. Thanks Rayner for being their for us, Just know that you are our teacher that we follow,all the time we scroll our email we are happy to see that our master big brother is wishing us well. which broker or company can one use to trade crypto currency with? I don’t trade cryptocurrencies so I’m not sure myself. Thank you for your passion and commitment to educating many. Re: Extreme Broker Leverage. As long as you adjust position size to accomodate ridiculous leverage, 200, 400, 500, 1000:1 is irrelevant and just a marketing gimmick. Still comes down to % risk when position size is calculated correctly. Thought your viewers/listeners should know this also. Could you precise us the platform you use for your video-show ? The charts are from TradingView. Thanks Rayner! Glad to get your perspective on the crazy price action that’s been happening in the cryptocurrencies. I’m happy to be an interested observer in this asset class! Great video Rayner. Once again, a big thank you. The more I watch your work, the more it sinks in and my trading is definitely improving. Awesome to hear that, Pete! I always follow your videos and i feel like im ready to conquer the world of forex. What broker can you recommend for a forex trading beginner? I don’t discuss brokers publicly because I don’t know what’s going on behind the scenes. Feel free to drop me an email and we can discuss further.